If you’re inspired by the calm attitude of beach living this winter, bring the beach to your home this season. Incorporating a beachy style to your home during winter months can help to bring a peaceful atmosphere because when we are surrounded by décor and colors that remind us of the beach, it helps us to relax. A seashell collection can be displayed on bookshelves or coffee tables in glass containers or try hanging various beach art scenes. However, if darker colors aren’t exactly what you’re looking for, paint your home in a blue or teal color scheme and include white or neutral colored accents. 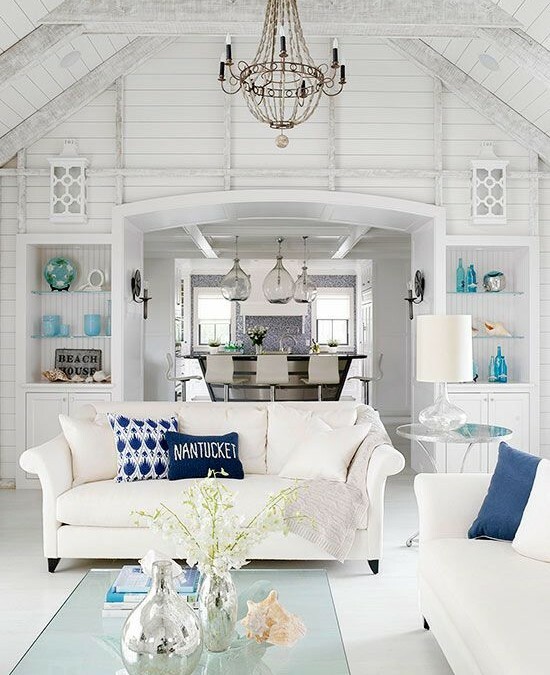 Use beach décor in your home this winter to create a more relaxed home environment.